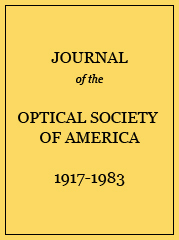 We present here a new study of the spectra P xii and P xiii in the wavelength region between 23–44 Å. The previous analyses of the energy levels have been much extended and revised. The extrapolation procedures used to calculate these spectra are presented in detail. Fine-structure splitting of 2s2p 3P°. B ii–P xii (in cm−1). a References 1, 4, and 10. Experimental and calculated ζ2p (in cm−1). Observed and calculated intervals between levels of 2p2 Ne vii–Cl xiv (in cm−1). a Observed intervals. Ne vii—Ref. 14. Na viii–Al x—Ref. 1. S xi–Cl xiv—Ref. 4. Calculation of the intervals 3s 2S1/2–3p 2P1/2° and 3p 2P3/2°–3d 2D3/2 in Li i-Cl xv (cm−1). Calculated and experimental values of the levels 4d 2D3/2 and 5d 2D3/2 in Li i-Cl xv (cm−1). b Experimental. Li i–Na ix, Ref. 1. Mg x–Si xii, Ref. 6. P xiii, S xiv, Refs. 3 and 4. Our experimental values for P xiii are 3 774 600 and 4 192 300 cm−1. Spectral lines of P xii. 3P1 – 3P2° 3 40.18 40.171 2 489 300 ? 2s2p 3P0°–2s3s 3S1 5 41.50 41.471 2 411 300 Blended? 3P1°– 3S1 6 41.55 41.518 2 408 600 41.524 M Blended? 1D2 – 1P1° 14 42.76 42.763 2 338 500 Blended? a F—Fawcett et al. (Ref. 3); M—lines calculated from levels given by Moore (Ref. 1). Energy levels of P xii. Spectral lines of P xiii. a F—Fawcett et al. (Ref. 3); M—Moore (Ref. 1). Energy levels of P xiii.